The First World War demonstrated clearly the great potential of electricity. It also showed how inadequate were the supplies of electricity in the face of a rapidly increasing demand in the western world. In Ireland, the first public electricity supply scheme was established in Dublin in 1880. Various towns and parts of cities were supplied with electricity prior to Independence. However, country people (and many urbanites too) had to gaze with envy at the bright town lights from a distance and for a long time to come. The new Irish Free State was progressive in getting the great Shannon hydro-electric scheme off the ground, just a few short years after the independence of 1922. The Irish State realised (as did USA and Germany) that the private sector could not supply electricity on a sufficiently large scale and that state intervention was required. By the time the Scheme was launched it was the largest of its kind in the world. It must be remembered though that the Minister who pushed through the Shannon Scheme – Patrick Mc Gilligan – met with much opposition to the idea. The Shannon Scheme was of most benefit to towns and cities however. 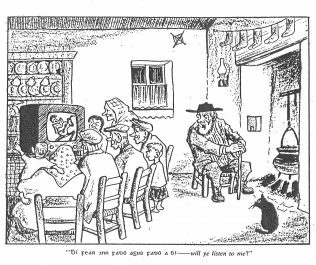 By the mid 1930s the national benefits of good electricity supply were obvious but few rural communities were hooked-up. By 1939 the then Fianna Fáil government was set to launch the Rural Electrification Scheme when the outbreak of the Second World War set everything back. The programme had to be postponed until 1946. Steady progress was made through the 1950s but there were fluctuations and inadequate budgets from time to time. The scheme was speeded up again in 1962 and by 1965 some 80% of rural households were connected. The surge in demand then meant that completion was postponed and many people remember well the outlying communities that were not connected until the mid 1970s. In 2003 the last remaining rural places – Inishturbot and Inishturk (off the Connacht) coast were finally connected to the mains but some islands still generate with an off-grid supply. 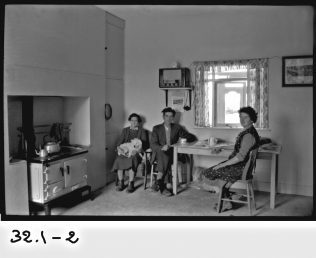 Few technological innovations had as much impact on the Irish countryside as rural electrification. It removed a lot of the drudge from home and farm life. Pumps could be electrified and dairying revolutionised. The electric fence could keep cows in check and scare off townie kids for a while. Rural industry could now develop with much better prospects of survival. 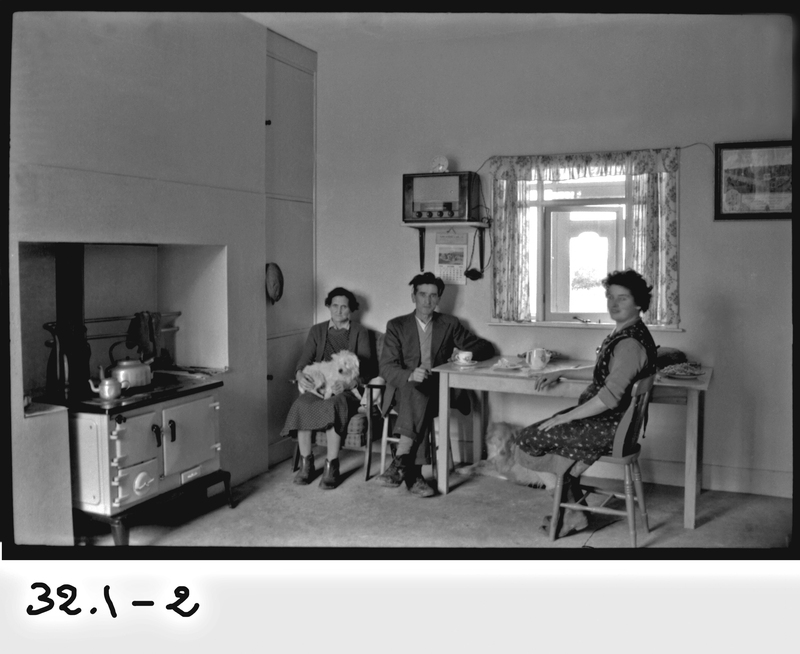 The life of many households was transformed and the overall social effects cannot be overstated. The small towns and the countryside became literally brighter and the residual belief in fairies which once had such a grip on the folk-mind was increasingly banished. A chink began to appear in the armour of all sorts of supernatural belief systems. Some folklorists have bemoaned the modernising effects of electricity and other mass innovations like the motor engine. The pre-electric, pre-engine, age has been viewed as a sort of Amish-like Hibernian arcadia where people provided their own food and entertainment and were largely self-sufficient in small but culturally rich local communities. There was indeed considerable cultural capital in many of these communities, but we now know that without the economic base to sustain and modernise them, the notion that traditional communities could somehow remain the same over generations was illusory. These folk-communities were to be in for dramatic change especially with the wider introduction of electricity and the motor engine. Already, much of the supposedly ‘traditional’ technology, such as horse drawn machinery etc, was made in factories and traded internationally. Undoubtedly, mass-electricity – through its offspring of cinema, radio and television – did spread huge influences from abroad, in particular from Britain and America. However, it must not be forgotten that native culture used the new media to diffuse itself too. In particular, Gaelic sports, Irish music and even the Irish language gained a second life. 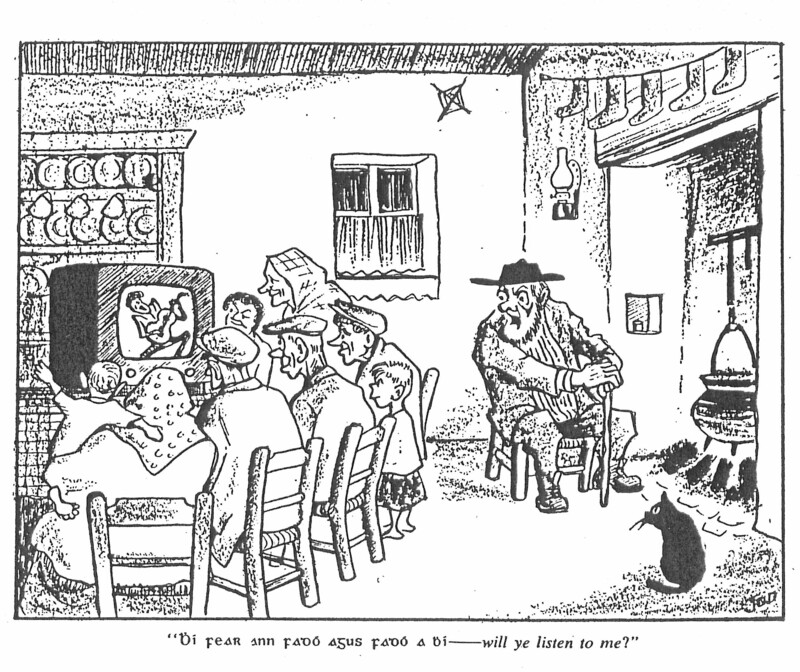 Arguably the Irish language may well have become virtually dead but for its adaptation in radio, the newsreel, television and now through information technology. Considering that the Irish State was not well off economically or industrially, the progress in providing electricity throughout the land compared well with many other western countries and in particular with Northern Ireland for example. To its credit the new Irish state took the opportunity of electricity to consolidate itself and made one of the most important steps in forging the new Ireland that had emerged in most of the island arising out of the Anglo-Irish conflict 1916-21. To Aidrian re Query…. Michael O ‘Malley in “Memories of a Keel Man” (Trail Stop 13) states that the most significant arrival was the “switch on” of electric power in the early 1950’s. The Poolbeg Power Station adjacent to The Pigeon House Dublin was established during 1903. 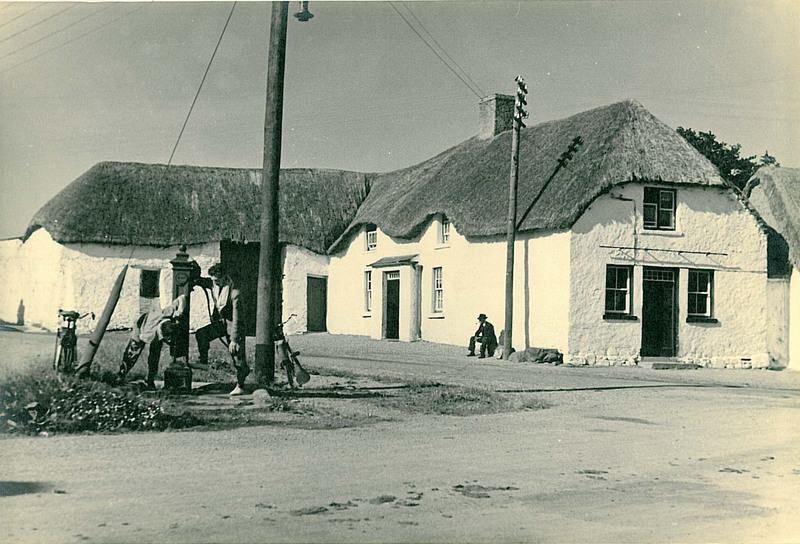 Does anybody know when electricity came to Achill Island. Before it became connected did people have generators? Interesting article. Can you tell me when the northside of the city of Dublin was electrified, specifically Infirmary Road area? Maith an fear Seamus, a very fine article.